Free will donations help us provide the meat and drinks and keep this great program going. Bring a friend and enjoy some good conversation and awesome food. On the third Monday of the month, area seniors are invited to share their favorite side dish or dessert! We provide the meat and drinks and usually a guest speaker or activity. So bring your table settings, your best side dish, your hunger and join us. 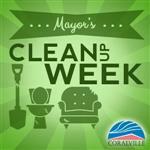 All potlucks will be at the Coralville Recreation Center.